This High in Protein diet contains less than 17% total carbohydrates, which is more typical of the ancestral diet dogs consumed before commercial diets were available. Multiple additives from Alltech are included in this premium food that supports digestive and immune system health. PERFECT for animals with allergies to grains. 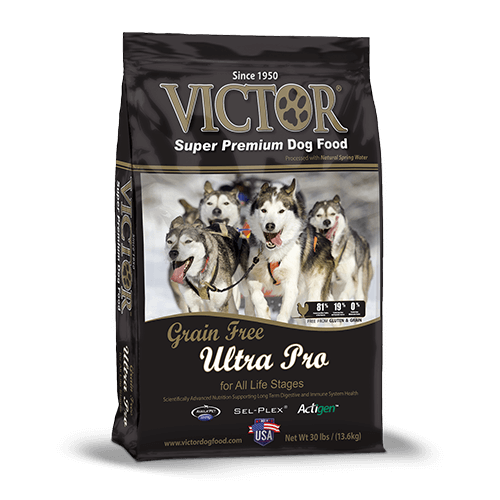 Nutritional Adequacy Statement: VICTOR® Grain Free Ultra Pro is formulated to meet the nutritional levels established by AAFCO Dog Food Nutrient Profiles for All Life Stages.